This modern fit-and-flare wedding dress by designer Stella York is both versatile and stylish. Lace and tulle over matte-side Lavish satin create a unique fit-and-flare silhouette that feels elevated and updated. 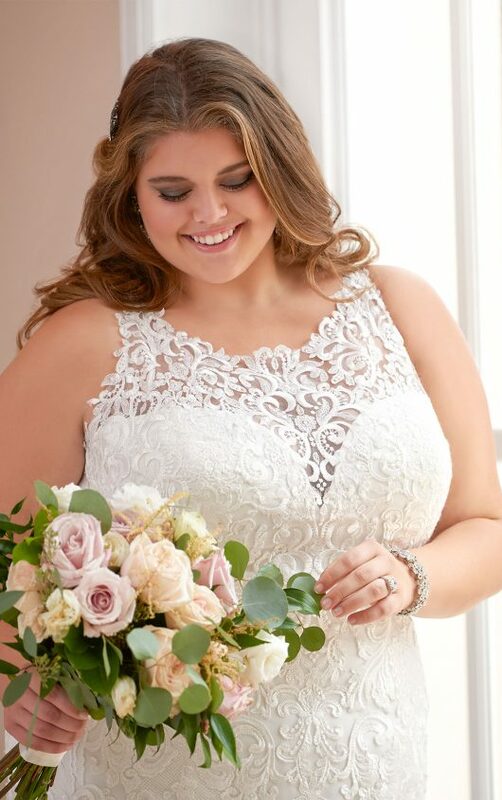 The halter neckline is created from illusion lace over a sweetheart bodice. The lace continues through the bodice and down the hips, ending in a cascading pattern through the flared tulle skirt. There is a soft twinkle throughout the lace that adds to the richness of the gown. But perhaps the real showstopper in this gown is the low-cut illusion back. Framed by laser-cut lace, the illusion back plunges down from the shoulders to just above the small of the back and finishes in a dramatic tulle train. 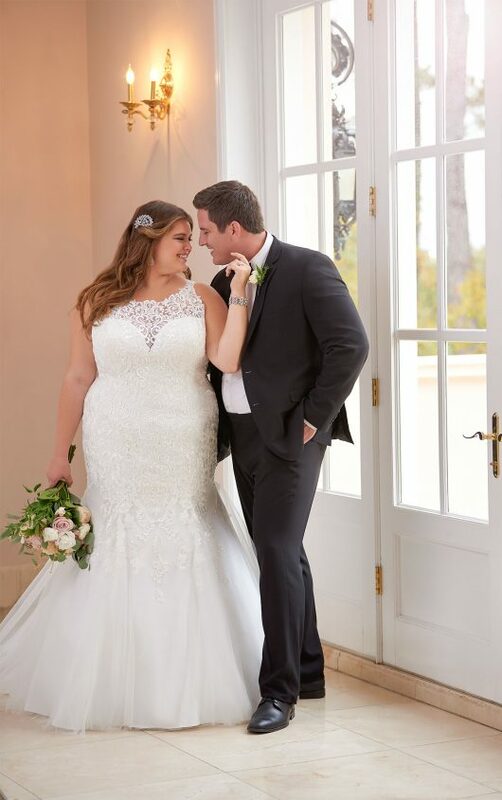 This modern fit-and-flare wedding dress is available in plus sizes and closes under fabric buttons.